Online radio FM Cube – thousands of best stations in your mobile device! 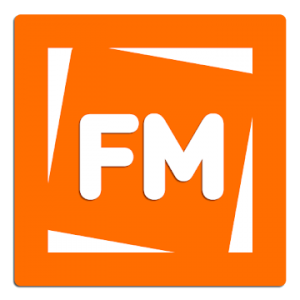 Online radio FM Cube – thousands of stations at your smartphone. You don’t need fast Internet connection to listen to web radio. Listen your favorite radio stations wherever you are: in the street, at home, in the office, in your car. Revolutionary internet radio app – FM Cube. Thousands of stations in the small, fast and easy-to-use app. Excellent sound quality even at slow internet connection (2G, 3G, 4G, WiFi). You don’t need broadband connection to listen to the internet radio. Listen to online radio absolutely free! This app consumes 4 times less internet traffic to play radio than any similar app. You can select the most suitable stream quality for you – using stream quality selector. Poor connection? Playback stops too often? Select traffic efficient mode (Low quality) – even in this mode sound quality stays very high. If you have stable and fast internet connection – listen to the radio at its best sound quality (High and Medium stream quality). Sound quality stays great in any mode! – You can save your favorite stations to the Favorites list. Also you can browse History (list of the stations you’ve listened to). – Any currently playing song you can search in YouTube or Google with one click. – Turn Off Timer will stop the playback at the time you specified. – Alarm clock will start playing your favorite station at the specified time. Popular stations of Europe (Germany, Great Britain, France, Spain and so on), USA, Canada, Latin America, Asia, Middle East – from all around the world. Player contains additional Premium features. All Premium features are available with subscription. We did a great update on the radio player.